When it comes to the first day of school, there are so many different things to think about that our “to-do” lists seem endless! 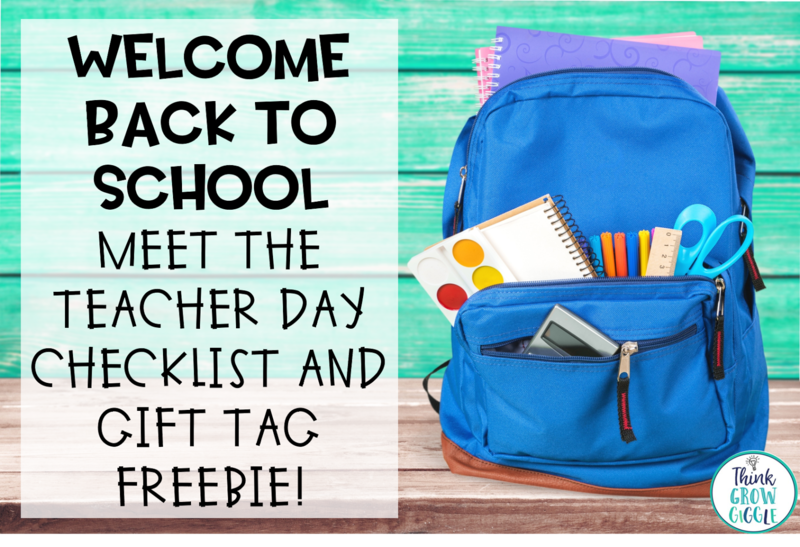 Many schools offer official "Meet the Teacher" days to welcome students back to school before the first day of school. 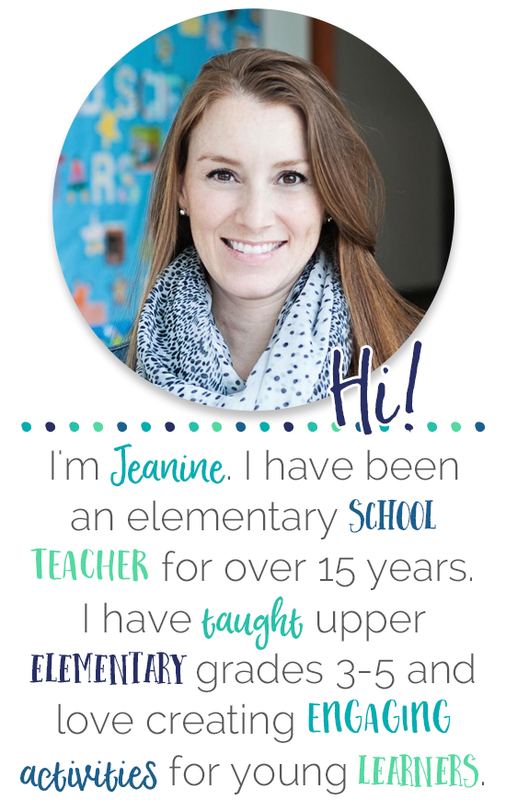 I love the idea of Meet the Teacher days, and am so glad that my school offers these days, but it is another thing to prepare for! So how can we make the most of these days? Our Meet the Teacher day always takes place the day right before school begins. It is a great opportunity for teachers to meet their new students and parents before school begins to start building those important relationships! I have found that this day always helps to ease the nerves of everyone involved: students, parents, and of course, teachers! Our Meet the Teacher day is only about an hour long. Below is my checklist of what I have prepared for the big day! 1. Provide one on one time with each student and their parent to personally welcome them, listen to any concerns, and answer quick questions. 2. Display books we will be reading and using during the first month of school to build excitement. 3. Have important documents copied for each family such as my teacher welcome letter, school supply list, class list of names, special class schedule, and any paperwork from the office. 4. Display of “Teacher Wish List” items for parents who ask what they can donate to our classroom. 5. Stack of sticky note pads and pens for parents to write additional questions that they have that may require me seeking out the answer or a more in depth answer. I ask parents to leave these sticky note questions on my desk for me to read after everyone has left for the afternoon. After I read the sticky notes, I can answer and respond to them individually in email form. 6. Have a sign up sheet for parent volunteers. 7. Welcome gift for students all ready for their arrival! 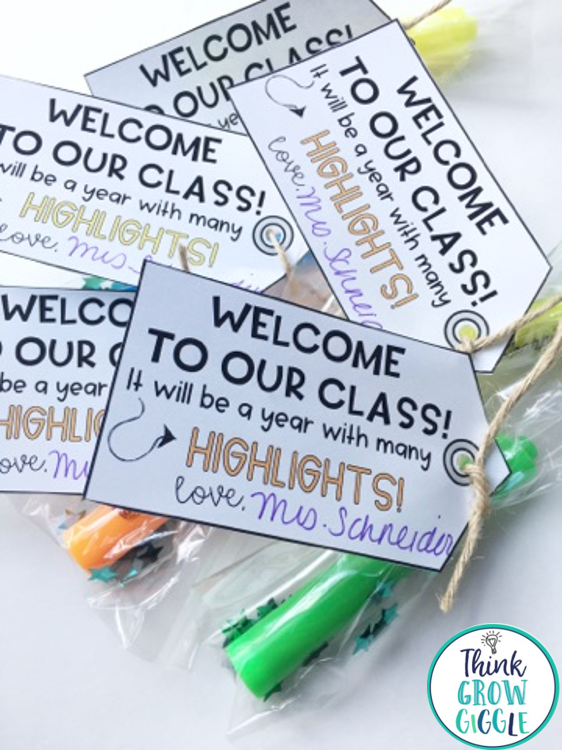 The best part of Meet the Teacher day is seeing the smiles on each students' face as they walk into their new classroom, meet the teacher, and receive a small welcome gift. Since the school I work at has a strict no candy or food policy, I like to tie in my student welcome gifts with school supplies that I know the student will use during the year. Simple supplies like pencils, highlighters, rulers, and crayons have all worked well for me in the past. The tags below work perfect for highlighters! 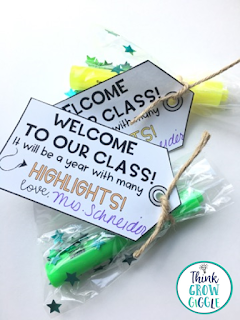 Click on the picture to grab these free gift tags that you can attach to highlighters for a fun and useful welcome gift for your students. 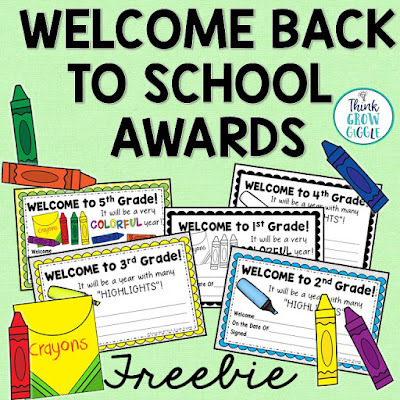 If you are looking for more traditional welcome certificates, you can scoop up this version for free on my Teachers Pay Teachers Shop by clicking the image below. Remember to have fun and relax on Meet the Teacher day! It goes by so quickly! 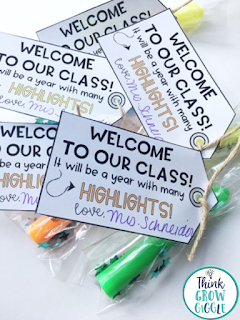 How do you welcome your students on your Meet the Teacher day or first day of school?